The fish did not want to go near my bait. I had put out what I considered the ideal fly and perfected the cast – hoping for the “catch” I had been promised by the guide. No bites. I tried again. Still, no bites. The fish, obviously sensing this wasn’t the food they wanted, ignored me and swam on by. In pursuit of the perfect cutthroat trout, I had dedicated my 4th of July this year to learning how to fly fish on the Snake River, the fly-fishing mecca of the world. This mysterious and delicious trout, I had learned, is anxious to strike at about any fly – as long as the presentation of the fly is spot on. Back home, as I was working to create a pitch for a well-known business technology writer, I realized how much this process reminded me of my recent attempt at fly fishing. Business reporters are bombarded with pitches on a daily basis and they have very little time and mindshare to give them much attention. If your pitch isn’t spot-on, you’ll be ignored. Just like a fish won’t bite on a fly that isn’t placed just right, a reporter won’t go near the pitch unless you build trust and credibility first. 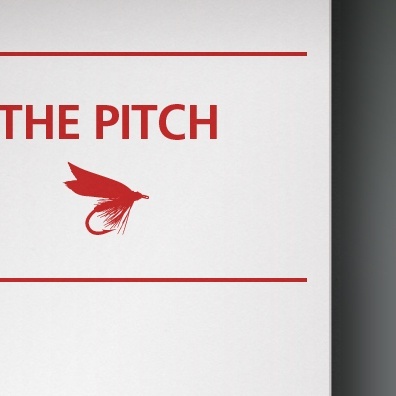 Tailor your pitch so it is relevant to them and more importantly, their readers. Demonstrate that you understand the readership persona and have a deep knowledge of the market. Consider broader thematic stories such as: What will impact the technology industry in the next year? How will some of the hottest technologies play out? The Wall Street Journal certainly doesn’t want to hear about the next big product launch. The editors want to hear what the next big technology disrupter will be and the market drivers that are feeding the frenzy. Provide a strong, if not controversial or colorful, opening storyline. Help the reporter with their story. What is going to get their readers interested and commenting on their article? Be sure to provide evidence that a trend or market event is real and impactful. Is there an eminent threat to an already fiercely competitive market? Is there a potential market consolidation? Consider a human interest story. Is your CEO’s leadership structure or background unusual? Is the company culture unique? Maybe your CEO has a David vs. Goliath story or has a colorful background full of entrepreneur mishaps and successes. For example, one of our clients has a CEO who was a former special forces ranger with the Israeli Army and had successfully sold three of his recent software start-ups – that alone secured attention with Fortune and the Wall Street Journal. Summarize your pitch by tying your story together. Consider closing with data-driven and impactful business benefits. Provide the latest market statistics or compelling survey data. For example a recent Wall Street Journal article on the boom of mobile advertising cited a recent survey that found spending on mobile advertising more than doubled in the first half of the year. Realistically any fish can be captured on a fly as long as you develop the correct technique and ensure that the main food source is appealing.